Mariner 4 was the first spacecraft to obtain and transmit close range images of Mars. After its launch on November 28, 1964 and a journey of hundreds of millions of kilometers, Mariner 4 passed within 9844 kilometers of Mars on July 14, 1965. 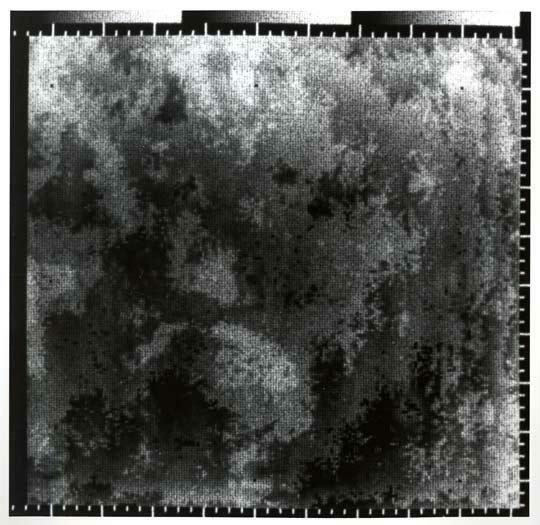 Beginning at a range of 16,900 km, the probe acquired a surface image composed of 200 lines, consisting of 200 pixels each (average resolution was about 3 km/pixel) every 48 seconds until, at a range of 11,900 km, 22 television pictures of the Martian surface had been stored on the spacecraft's 4-track tape recorder (the last 3 of these pictures were beyond the terminator). It took 4 days to transmit the image information to Earth and the spacecraft returned useful data until October 1965, when the distance from Earth and its antenna orientation temporarily halted the signal acquisition. Data acquisition resumed in late 1967 and continued until December 20, 1967.